There’s only one thing missing from the little slice of heaven Serena Hotels has in the heart of Selous Game Reserve, in Tanzania. I am sitting at the bar staring at the brown, magnificent river flow. My glass is almost empty. I can feel Raymond’s eyes staring at it too, and me, although he’s behind me, behind the bar. There’s a single hippo in the horizon, on my left, just before the river disappears past the corner. There might be a crocodile too, but even I can’t see that well from so far. Beewol is saying something, heartily, about Kilimanjaro Premium Lager. I think hes talking about how, when you travel, you must honor the place by having its most popular beer. Mugendi is agreeing as he sips his wine, and Allan is nodding his head too as he goes through glass after glass of mango juice. Pauline is staring at the river too, sipping her gin and tonic as we watch the sun hide. You can’t see the sunset from here because there’s a hill that blocks the view but that’s okay. What you get to see and feel is the powerful force that will make you write about this place. I don’t know what it is about travel that makes me think of home. I don’t know whether this happens to anyone else but every time, when I am miles away from home, I can’t help thinking about it. It’s not a sentimental longing, or rather its not just that, its something closer to an epiphany. That for some people, what are sites and wonders to you is home for them. It’s where their umbilical cord is buried, so to speak, and if they were to visit what I call home, this is what they would miss. I am in Tanzania, in the heart of the Southern part of the country. On the banks of River Rufiji, which looks like a long, endless snake from above. From a distance, the water flows so smoothly it looks like its at a standstill. Deceptively, because it is teeming with bloats upon bloats of hippos. 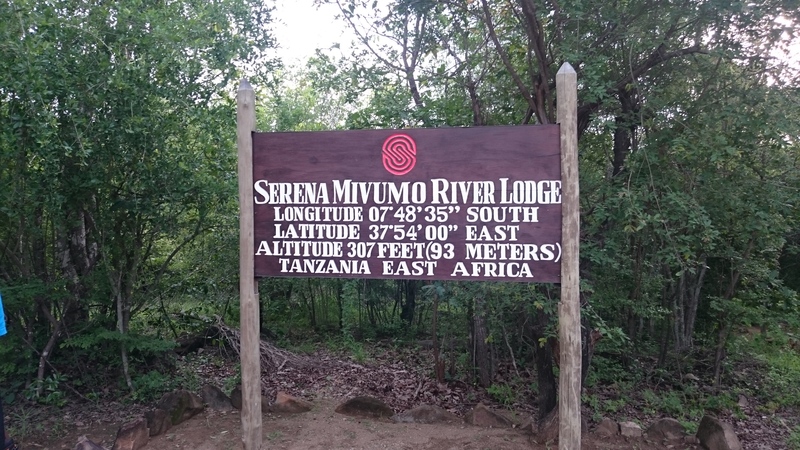 Serena Hotels has a place, right in the middle of Selous Game Reserve, which feels like a dream come true. Because I write for a living, my dream is pretty simple. A small wooden cabin in the middle of nowhere with everything I could ever need including air conditioning, a bed that blends with the surroundings, electricity, and the sounds of nature. A private viewing area on each chalet, with a Jacuzzi and an outside shower because hippos won’t judge you. And invisible staff. There are 12 chalets in this hamlet of wonder in the middle of the wild. 12 wooden chalets, set along the river banks, joined to each other and the bar/dining area, by a boardwalk. There’s also a water-themed presidential villa, where there are waterfalls or the sound of them everywhere. Even the bathroom has two waterfalls, making the bowl look like a small secret cave. Its always a wonder when you can tell everyone who brought this together, except maybe the person who was paying for it all, had a lot of fun. 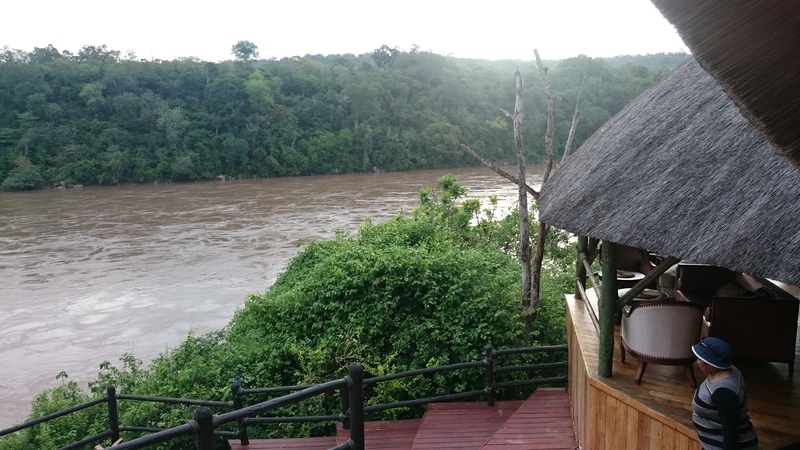 I think the only thing missing from Serena Mivumo River Lodge is my own version of Ironman’s Jarvis. An AI that would respond to my each and every whim. Whim because who would have time to make decisions while living in the middle of Africa’s largest game reserve. To remind me to eat, to catch the sunrise, and to switch between drafts. But the lodge has everything else, the entire five-star experience in the middle of a place bigger than Rwanda and Burundi combined. Even from the air, you can tell just what a fete this is, making a patch of paradise in the middle of nowhere. What’s more, you can now pre-pay for the Serena experience, in installments. It’s called?Lipa Pole Pole. 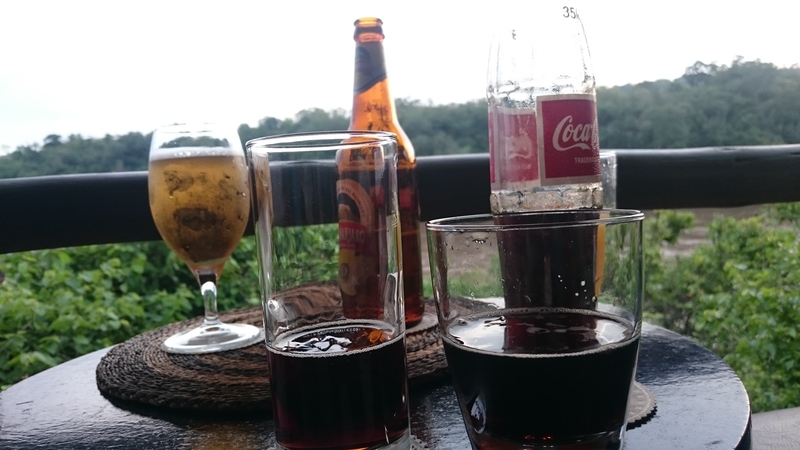 When we land in Tanzania, three Kenyans and two Ugandans on a mission, I am missing two things from my travel bag. I only carry two bags, one with my electronics and the other with everything else. Since both of them are small enough, I check in with them as hand luggage. But that was my biggest mistake. See the guy at the last search, right before we entered the terminal, disinterestedly asked me whether I was carrying lotion or anything else liquid. He looked tired, like a man who just wanted to go home. That kind of look you give your immediate boss when, at 4:50 pm, she pokes her head out of her office and yells out your name. You know its definitely more work with an even tighter deadline than the madness you have been handling all day. But you don’t mind getting paid so you tuck your tail and sheepishly, reluctantly, walk to her office. That look you have as she, as if the three clocks in her office, and the one on her hand, and the one on her phone, laptop, PC, and tablet don’t show the same time as everyone else. That’s the look he had. I could have lied but here I was, a stereotype. A skinny, young dark man in jeans and running shoes looks suspicious. Even I am suspicious of them, and by extension, myself. Have you ever panicked because a young man walked a bit too close to you, and then, when you noticed he was wearing official shoes or even boots, you breathed a sigh of relief? Then you have an idea of what I mean. So I didn’t lie. He was clearly not going to rummage through my bag when he could straight up ask me while probably thinking about the beer that was by then sitting illegally, in a rival brands fridge at his local. So I told him the truth, I had deodorant, cologne, and lotion. I pointed to the pocket with this small kit and he pulled each out, studying them like I could have come this far, three serious checks in, carrying contraband. The long and short of it is, by the time I went through the terminal, into the KQ flight to Dar, all I had was the cologne. It was definitely going to be a fantastic trip, but a very sweaty one. Woe unto Pauline, Allan, Bernard and Mugendi because they would have to spend the next three days with me. Or until I find a supermarket with decent enough prices for more supplies. A big lesson for the flight home, just check the bag in Morris. Just check it in. A cold towel has never felt more welcome. It is the first thing Dickson, the manager of Serena’s two properties in Selous Game Reserve, hands us when we disembark from the small plane. Its been a long day. The construction workers next to my place have a rooster that’s unreliable. It starts crowing at 3:45 in the morning, and doesn’t stop until the sun is hot and Nairobi’s trunk roads are choking with thousands of cars driven by barely-conscious people. When it crowed today, the first time, I panicked, and then couldn’t sleep again because we had to be somewhere above Kilimanjaro by 9 am. Dar es Salaam, but for the gorgeous number plates, the traffic cops in crisp white, the long Coke bottles and the humidity that rules the coastal city, looked and felt like home. The hawker selling the scarf in Tanzania’s national colors said 8000 bob with a straight face, and I would have laughed if my brain, slowed down by the humidity no doubt, wasn’t trying to convert that into dollars or Kenya shillings. Our host haggled him down to half the amount, and Bernard had a totem to prove to the girls back home that he was indeed Magufuli-land. 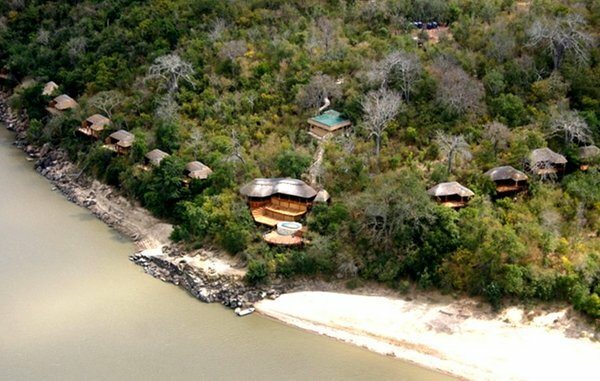 When we land in Selous, on an airstrip near Stigler’s Gorge, my brain already feels like we should be done for the day. We all slept on the short flight here, about 45 minutes from Dar, and we clearly need a bed as soon as possible. But its barely 3:30 pm. That cold towel, in this heat, feels like salvation. I’m thinking of home as I clear my last glass while sitting on the balcony in my chalet. River Rufiji nonchalantly pretends its not awkward that I have been staring at it for hours now. As if it didn’t see me shower in the open and air in my birthday suit. Those nagging questions about home are back. Is home a place or an idea? Is it a thought or is a decision? Why do we travel from home anyway? Do we travel to lose ourselves or to find ourselves? Or both?